I’m an avid fan of reading tech articles. They keep me up to date, and help generate new ideas in my web design. The trend of “this vs. that” has been around since the MAC vs. PC Wars and is still present today. Everyday I see some other troll commenting how their OS is better than everyone else’s. “My droid kicks iOS to the curb as far as customization.”…Nuh Uh…”my mac is pure design genius”…and on goes the debate. I’m putting my foot down. STOMP! I will say it once. EVERY PLATFORM HAS ITS USES AND ITS STRENGTHS. This has always been the case. MAcs are geared towards design nuts. PC’s are an enterprises’s best friend. Android can offer more options than most Mobile OS’s. Rather than focusing on one specific platform, I like to try a number of different platforms. Why limit ourselves when we can have the best of all world’s? When it comes to mobile, that is easier said than done. We certainly can’t afford 4 different phones. In my eyes, its this sort of platform dependence that can kill innovation. Imagine if google and apple had continued the strong relationship they started. 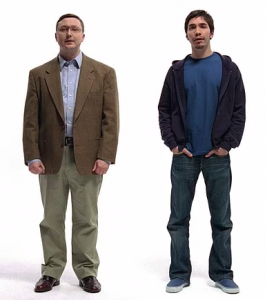 Imagine if Android and iOS were developed together from the get go. What would it look like? Would the devs have come up with some crazy technology that neither company could have come up with alone? It’s possible. I’d prefer an iDroid. Then I could truly have the best of both world’s. Heck, let’s even make it an iWinDroidUntuIzenFox OS. Copyright © 2013 Casey Govero.